In my last post, I pretty much threw my ex under the proverbial clutter bus and mocked his collection of endless lotion, empty plastic containers, and pianos. But if I’m being completely honest with myself, I’m not immune to the desire to hang on to stuff I don’t need, either. Last weekend, I was traveling (again) and my flight was booked through Erie, PA. My return flight was cancelled when the sky started hemorrhaging snow. So I got rebooked the next day, leaving me away from home for an extra 24 hours. And how did I kill time? Guess. And yet…I’ve been home since Monday night, and I haven’t quite moved the trusty black clogs to the donation pile yet. I’m not sure why, exactly. Blue sparkle SHOULD go with everything, but I’m holding back on the slim chance that flat black might be a better option at some point. If I ever have to attend a funeral in the middle of an airport, I suppose I’m set. Anyway, the point here is that it was only $8, I’ve worn it a kajillion times, AND thanks to the aforementioned Kohl’s addiction, I have an entire drawer full of Cuddl Duds that I bought SPECIFICALLY FOR THE SAME PURPOSE. But…this is the only one with THIS pattern, ya know? The OTHER black-and-white one has flowers, so it’s TOTALLY DIFFERENT. And maybe I could sew it back up. You wouldn’t see the hole because it’d be under a sweater…. YET I WON’T THROW IT AWAY. This behavior’s got to be at least partially hereditary. My ex clearly gets his from his parents; there’s certainly a family resemblance in the way they cram their closets. In my case, my guilty relative was my dad’s mom. When she passed, she left a four-bedroom house chock full of “treasures” that needed to be sorted. And we had to actually look through everything, too, because Grandma left the plot twist of hiding cash in random locations. I had her bedroom dresser for YEARS before I discovered a $5 bill from 1963 tucked under the shelf paper. 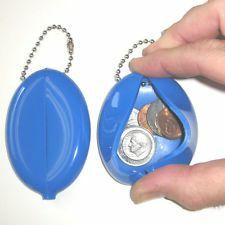 Oh, and remember those squeeze coin purses that banks used to give out? 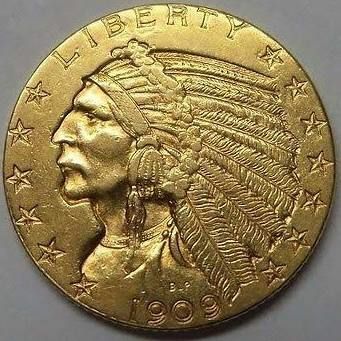 That sucker’s about the size of a nickel, and was worth about – wait for it – $400 at the time. FOUR HUNDRED DOLLARS. Dayum. So yeah, we looked through EVERYTHING. Of course, we ended up pitching a lot of stuff. The canned food in the basement, now a furry gray, was a culinary adventure none of us were willing to take. 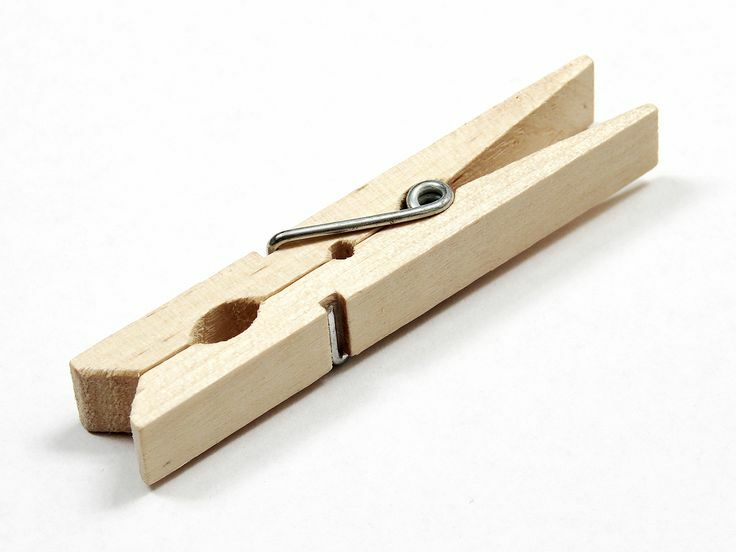 And there was an entire bedroom of her house filled with just two things: shopping bags and clothespins. Much like the rest of us, Grandma didn’t just hang on to the old things. She liked new stuff too. Especially shoes. I clearly inherited my love of shoes from Grandma. She was on a life quest for the Perfect White Sandal – one with a chunky 1″ heel and straps that didn’t pinch her little toe. (Nowadays, you’d just have that inconvenient appendage cut off.) Unfortunately, she never found them – by the time she passed, she had well over one hundred pairs of sandals in near-mint condition. More unfortunately, Grandma wore a size 5 1/2, which I probably haven’t worn since I WAS 5 1/2, so sadly, they all had to be donated. Grandpa passed away a few years before I was born, leaving Grandma fairly well-off. She spent much of her time traveling the globe, bringing back dolls and spoons from every country she visited. Why dolls and spoons? I HAVE NO IDEA. But she clearly loved them. She had several spoon racks lining the walls, and boxes and boxes of dolls. A little girl’s dream, right? Well, not exactly. See, these dolls weren’t toys – they were collector’s items. And therefore, each doll was required to remain sealed in its individual hyperbolic chamber, feet firmly affixed to the plastic base. We didn’t care. My sister and I played with them anyway. While they were still in the cases. Hey, we didn’t have cable then; you had to use your IMAGINATION. Our star-crossed lovers could never actually kiss, or hold hands. <raises wrist to forehead> Tragic. 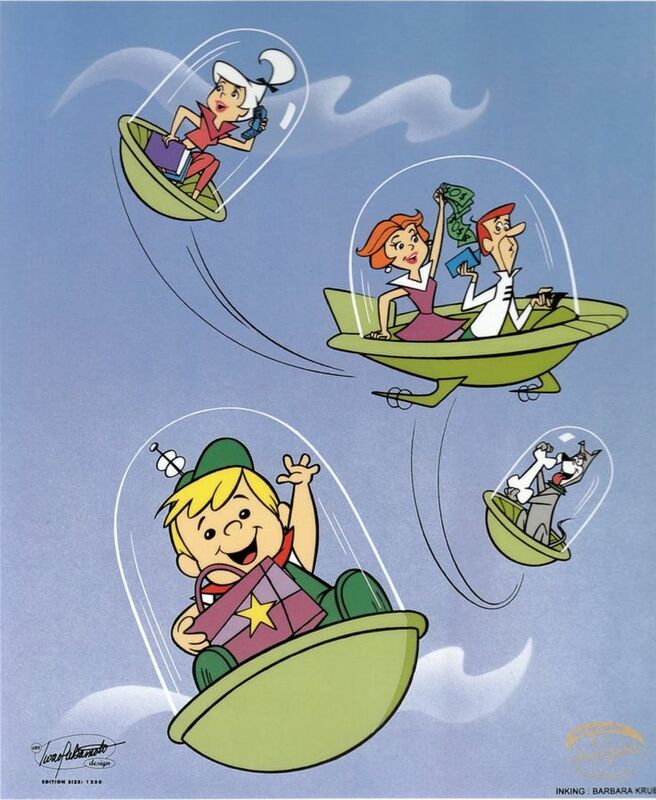 But they were each encased in these cool little pods that we pretended were flying transportation devices, like on The Jetsons. While the collector’s items* were to be handled with care, ironically, we were allowed to play with these fellas as much and as hard as we wanted. (Well, except chucking them down the dumbwaiter. That was only allowed to happen once.) Of course, these dudes have some actual street value now. Ah well. Anyway. It’s clear that Grandma didn’t NEED all this stuff. She didn’t NEED to keep grocery bags and ill-fitting shoes; she could afford multiple globe-spannning trips and fancy-schmancy look-but-don’t-touch dolls* each year. But she kept all that clutter anyway. Management dad = management FAD. My phone hates me, remember? Seriously, didn’t EVERYONE get one of these at one time or another? Along with Good to Great and The Seven Highly Annoying Habits or Whatever? So, as much as I’ve complained about my ex’s clutter, it did come in handy today. Yep. Three boxes of those little tiny bars of soap. This one from an Alaskan cruise, that one from a hotel in Australia, one from each country in Europe. My mom was going to throw it away – let’s face it, soap is cheap, and those doll-sized bars are stupid annoying. But I decided to take the soap. And you know what? I USED the soap. For nearly three years, I dipped into the box to unwrap another memory with every bar. Ivory from Germany. Dial from Alaska. Irish Spring from Australia. Generally, I think we could all use with a little less clutter in our lives, and a more diligent tossing of things we don’t need to cling to. It makes you feel lighter, somehow, to come home to an uncluttered entryway and a well-organized coat closet. It’s refreshing, relaxing…and helps us stay focused on what’s truly important instead of staying mired in things that weigh us down. But sometimes, it’s good for the soul to relive a fond memory – perhaps one that you’d have forgotten if not for the ancient shopping bag with the long-gone local-five-and-dime logo printed on the front. I couldn’t fill Grandma’s shoes, but I used every scrap of soap she saved. I used it up, reviving each memory one more time, and then I threw the wrapper away. At that point, the soap was just soap – it did exactly what it was intended to do, and gradually washed away. I think Grandma would have been OK with that. I loved this post. Touches the heart in all the right places while tickling the funny bone along the way. I’m a big sack of sentimental schmaltz right now, so your timing is excellent. Thanks so much! Now if only this motivates me to toss the unflattering paisley pants…. Take a picture of yourself from behind. That ought to do the trick. Paisley is highly unflattering to anyone with curves…even skinny women can have a hard time pulling it off. True, but I wear these sort of like leggings – with a long sweater….but….yeah. A funeral at an airport? Stranger things have happened. I’ve seen where some enter marital bliss at White Castle on valentines day. Some honeymoon night that’d be, huh? That was supposed to say “proposed”. Not even sure what the hell prosec is. Spell correct is evil! They crawl in and multiply like bunnies. I swear they make bonus clothes out of the 2″ they steal from the waistbands of last season’s pants, AND the lost single socks from the laundry. This is why we lose socks and our clothes shrink….right? Nailed it! This is a clothes conspiracy. The Man must be behind it, promoting consumerism no doubt!! De-clutter? Wait, you mean… *GASP* throw stuff away? But… but… I might need that box I bought that thing in that no longer works (and hasn’t for four years) because I might need to send it back if I ever decide to get it repaired (even though I already bought a newer model (who’s box just happens to be sitting right next to the aforementioned box)). This speaks to me on another level. Or you might need the parts to fix the new one. I get it…I do. Lol on flipping each other off!!! So endearing! Is it a bad sign that I find that endearing? Love the sparkle shoes- I am a ridiculously attracted to objects with glitter, it’s quite sad really. AND AHHHHHH I love that you played with the dolls in the cases!!! Too funny!!! Also my grandma had tons and tons of those travel soap bars as well!! Also a million bottles of hotel shampoos and lotions! I still get some travel soaps, but I actually USE them. Although I’ve heard they’re great to donate to shelters and stuff. And with my kids – they swear, too. I mean, they ride the bus – pretending they don’t cuss is like insisting they believe in Santa Claus….